CAPE BRETON, N.S. — I’m a better driver now than the last time we were on the chunk of earth that is Cape Breton, about 10 years ago. I wasn’t a bad driver then and I’m not a brilliant driver now, but travelling the same roads with one decade and hundreds of thousands of kilometres under my tires showcases the change. The highway wiggling through Highlands National Park scared the bejeezus out of me 10 years ago and I can’t even fathom how, back then, I made it along the eight-kilometre mountainside, narrow dirt road to Meat Cove. Our triumphant arrival is pictured at the top of this post. What you can’t see, behind the camera, is me nearly in tears because I knew I’d have to take that road again to get back to safety and I didn’t think I could. 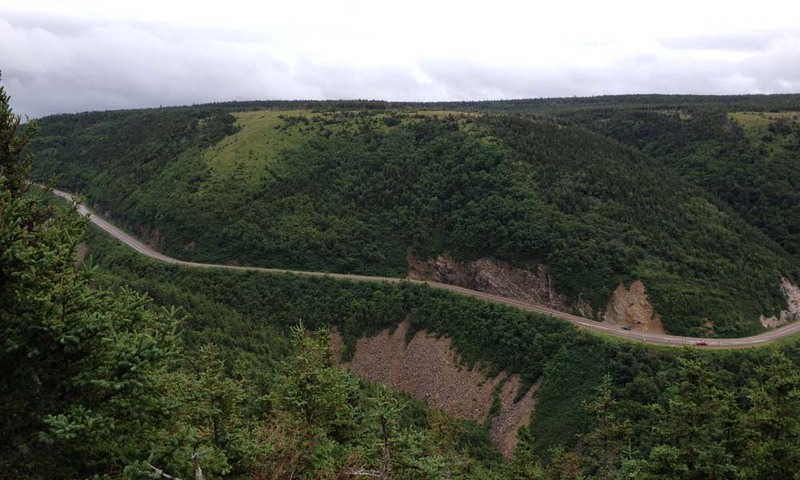 This summer I did not attempt that killer road, but we did manage to circumnavigate Cape Breton—in one shot, and kind of by accident, leaving at 1 p.m. and arriving back at our little cabin at 4 a.m. I didn’t mean to drive through the night. Like I’ve said, I don’t do that any more. 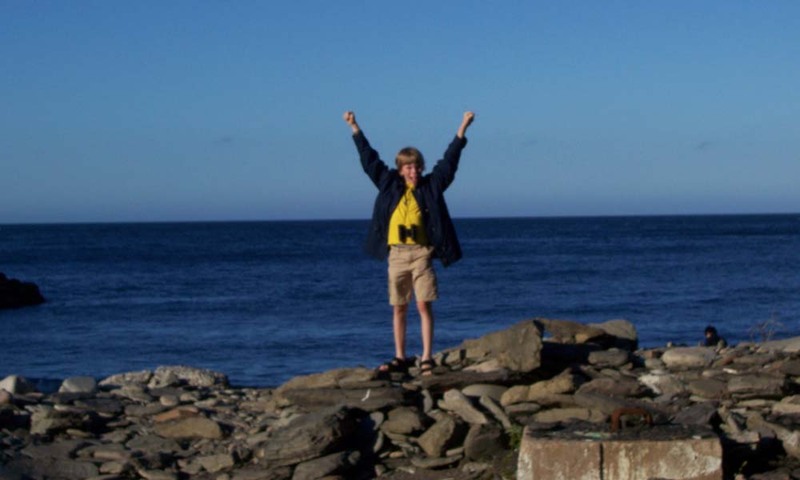 But Trev needed to meet up with his Venturer company on the other side of the island to get the ferry to Newfoundland and we (foolishly) decided to make a day of it. We left in a cloud of excitement. A national park! Scenery! Ice cream! A hike! The drive through the park, which had me white-knuckled then, was swell. It helps when you and your vehicle know each other as well as Joe and I. Me’n’that truck have driven more than 110,000 kilometres together, in all sorts of weather and all sorts of terrain. We knew, Joe and I, that this was going to be our last road trip together, and we were just up and down those hills like we’d been born there, flying over and around some of the most beautiful land on the planet. We rounded the top of Nova Scotia and caught our breath as mountains and forest dropped away in favour of beach and rock and frigid Atlantic. Our drive was pretty good down the east side, too, through wilderness and more giant rock into Sydney. Trev’s company had left Montreal early that morning and were aiming for a grandpa’s home by 11 p.m. We were on track to meet them there at the same time. That’s when the fog rose up. We were on the ocean, after all, so there’s that whole warm air/cold air thing going on all the time. No big deal. But the starless, moonless sky was no help to us, and neither was the road. Rather than ease off onto a shoulder, the road simply crumbled away toward the ditch. I lined my tires up with the yellow stripe down the middle and just held on. There were no locals to follow—we saw fewer than a dozen cars after dark for nearly 200 kilometres—as the unfamiliar road twisted backward and forward and wobbled now and again for no apparent reason. 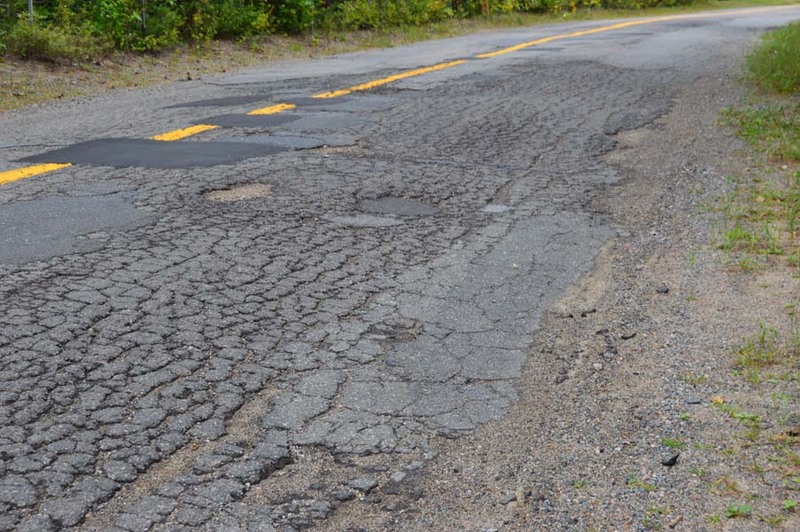 “It’s like they gave a toddler a crayon and let her design the road,” Trevor said. The Venturers had to wade through the same fog and we all arrived at the grandpa’s house around midnight. That was all well and good for the kids, brimming with excitement and marvelling at the fog. But we were on the wrong side of Cape Breton, two hours from our trusty seaside cabin. The fog was unrelenting, following us as far inland as it possibly could before alerting its western cousin to pick up the slack and torment us the rest of the way home. I certainly never meant to drive through the night again. But though my arms and upper back punished me the next day, no one came to any harm, including the moose I had been constantly warned about. Joe the Truck and I were a good team like that. I’m grateful for the scores of road trips we’ve taken in the past 10 years, and especially the past five years with Joe, which have turned me into a competent—though muscle-sore—driver. We retired Joe soon after we returned home. I’m glad we had that last sleepless night together.